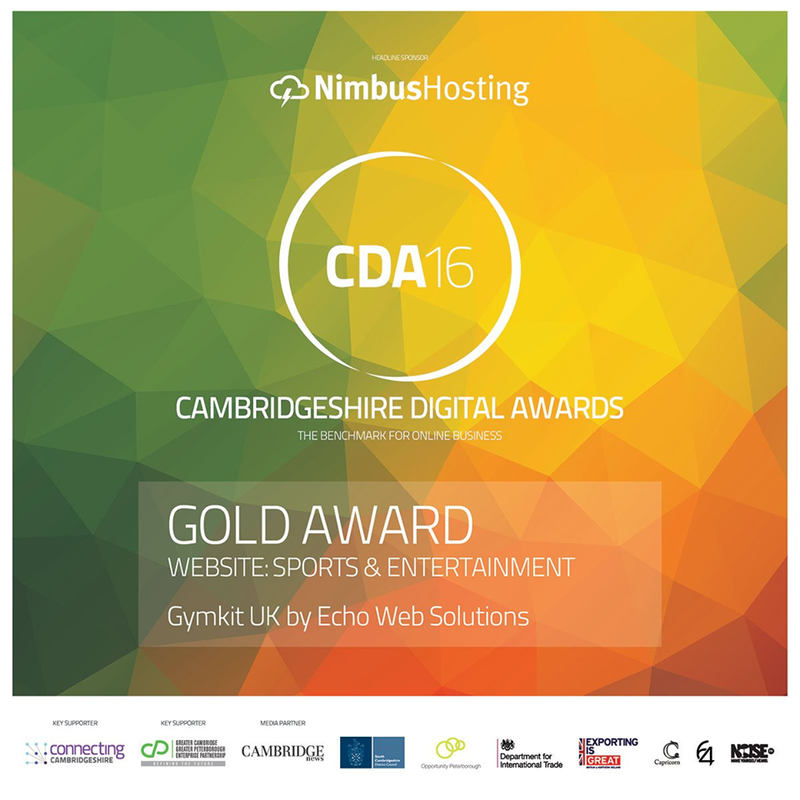 GymkitUK won gold at the Cambridge digital awards for best sport and entertainment website. Thanks to Echo Web Solutions, great job! It's been a very interesting year for us and we are very much looking forward to 2017. Next year will see the official launch of our 'Gymkit Solutions' website as we develop the business providing and installing: gym flooring including, reception, changing rooms, café, functional areas, Free weight areas and studio flooring. We take great pride not only in our stylish designs and high functional quality, but also in our unique customer consultancy service. Our absolutely unique strengths – our design, water-repellent materials, and sizes – not to mention our ability to build solutions to order – make Gymkit the most innovative provider of furnishing solutions to the fitness industry. CDA16 Gold winners - Sport and Entertainment website.